Per section 8-31 of the Town of Summerville Code of Ordinances all businesses, vendors, musical acts etc. 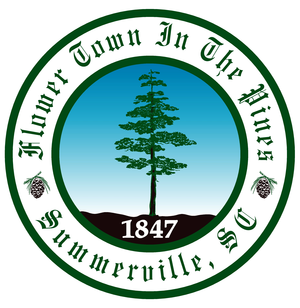 participating in a special event within the town limits must obtain a Town of Summerville Business License prior to participating in special events. A special event business license may be obtained no more than two (2) times per calendar year at a rate of $10 for Town of Summerville residents and $20 for non-residents. Proof of residency is required to recieve the $10 in-town rate. Note: Addresses are assigned by the United States Postal Service (USPS) with little regard to the geographic location of such addresses. What does this mean? Not everything with a Summerville, SC address is in the Town of Summerville. If you are unsure if the business is in the town limits review the town streets list. If the address is on the streets list, it is in town. If the address is not on the streets list, it in not in the Summerville town limits. Vendors that plan to participate in two or more events per year should apply for a regular business license. Food vendors are required to collect and pay the 2% hospitality tax. Note: The Town of Summerville does not accept American Express.